Displaying these Ryo Takemasa-inspired insects all together like this reminds me of a classic scientific insect identification chart—although these insects are more art than science; insect-ish rather than scientifically accurate. We briefly discussed the very detailed, exact and useful art of scientific illustration and contrasted it with the stylised insects Ryo has created. 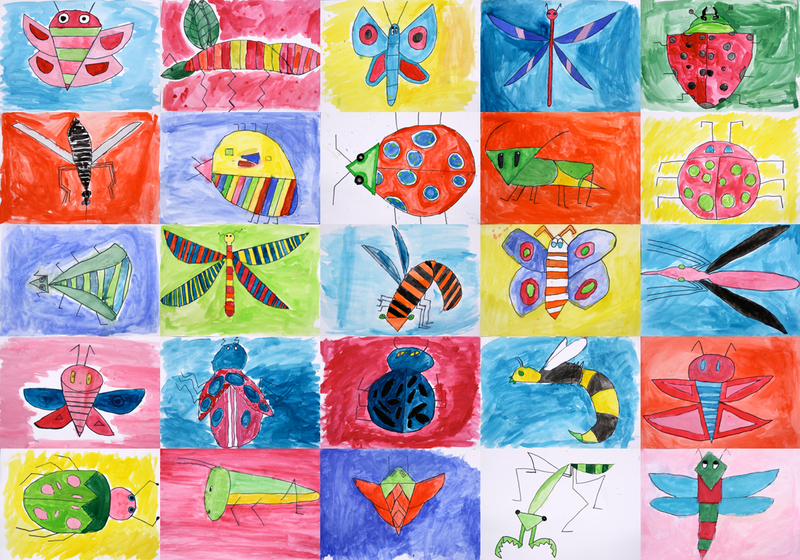 These year 4 students pre-sketched, then penciled in their own stylised insects. There was a selection of real insect photos for them to view on the board as well as a selection of Ryo's insect illustrations. Next they traced their drawings with permanent marker and finished with watercolours. Most of the students were really happy with their results, and so they should be—they look great. However, they're possibly not quite as good as Ryo's... yet! 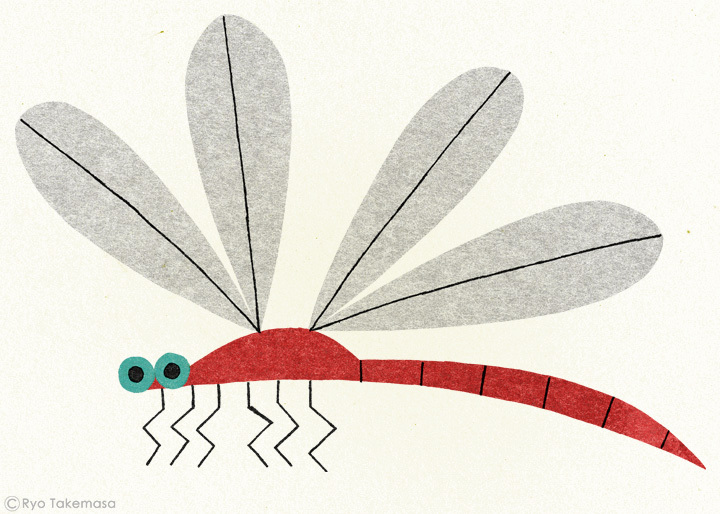 Here's a dragonfly by Ryo Takemasa. You can (and should) see more of his work here. I liked these insects so nice, bright and vivid colors. Beautiful insects! Love the illustrator. Great suggestion and inspiration by Rio Takemasa!! Children understood how to simplify and stylize. Thanks for sharing!! Great graphic, colorful insects! Thanks for introducing me to Ryo's work. He reminds me of Charley Harper.